buildingSMART's latest International Standards Summit 2018 was a “tremendous triumph” according to organisation Chairman, Patrick MacLeamy. 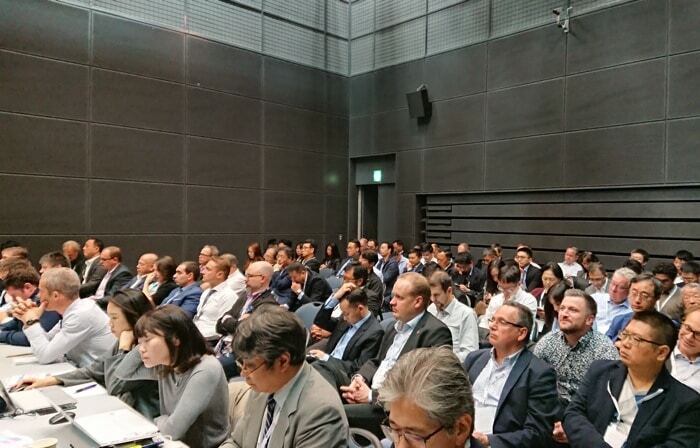 The latest summit in Tokyo extended its focus and commitment to deliver more standards, more tools, more solutions and more focus on the entire asset lifecycle. In short, buildingSMART is going to deliver more value to the community. 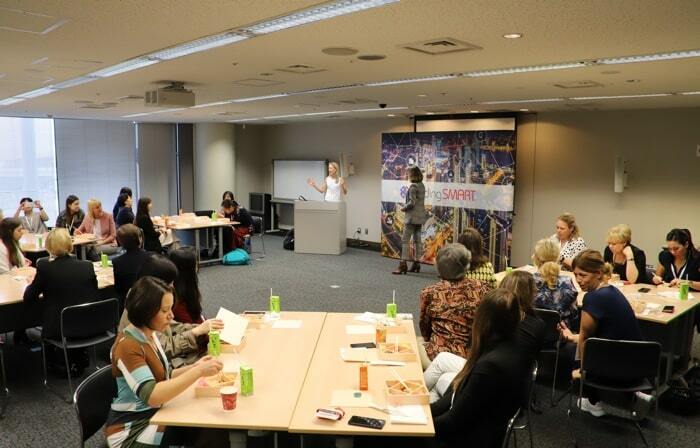 The event, which was held between October 16 - October 19, 2018, reached a new record for attendance and engagement. This year saw a total of 469 delegates from 24 countries with 17 Chapters represented. This event also saw a record number of award submissions for the prestigious program. Over 80 projects were submitted for initial review, with a jury of members deciding on 4 category award winners and 6 nominated for a special distinction. This event successfully brought together a diverse community to continue the focus on improving open digital ways of working in the built asset industry. The Summit began with the opening plenary from Richard Petrie, Chief Executive for buildingSMART International. In his keynote, Richard set out to review the last four years, covering the growth and delivery of some of the key standards and programs. With the success and formation of a professional management team, Mr Petrie was keen to highlight the many successes achieved. The keynote then shifted to focus on what the industry and community needs to continue the steady growth and global awareness. 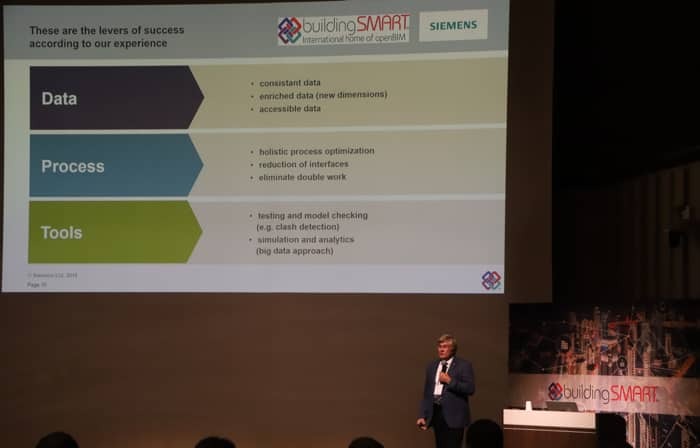 The message was clear; this is a time of significant transformation, and buildingSMART and the community needs to continue the success and continue global collaboration to find value from design and construction through to operations and maintenance for a whole-life view of building and infrastructure assets. Following Mr Petrie’s opening plenary, the summit attendees heard from a wide range of speakers spanning a variety of different topics and presentations. 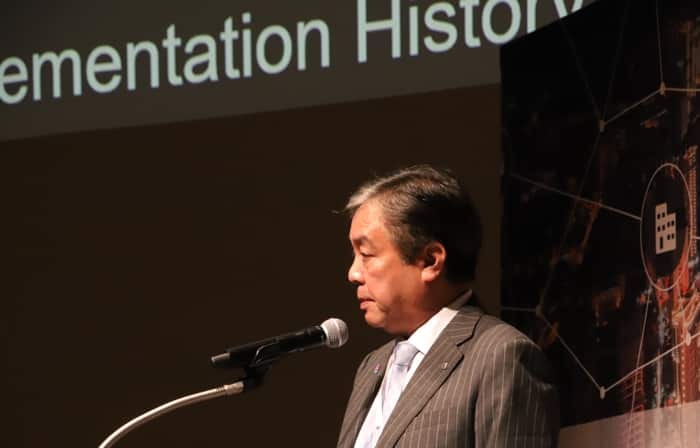 A welcome address from the Japanese Chapter was then followed by a presentation from Masafumi Mori, Vice-Minister of Land, Infrastructure, Transport and Tourism, Japan. This presentation focused on future visions such as how productivity in construction can be improved with revolutionary tools and a change in mindset. Next up was a presentation titled "openBIM throughout the lifecycle of a building" which was delivered by Wolfgang Hass of Siemens. Mr Hass challenged the industry to consider the next steps in delivering connected workflows within buildings and suggested the focus needs to be on the whole-life of buildings and assets. Mr Hass expanded on the topic of federated databases as an approach the industry needs to take. Next was a presentation from Kazumi Yajima, Kajima Corporation who looked at digital disruptors and how these technologies are delivering new value to projects. 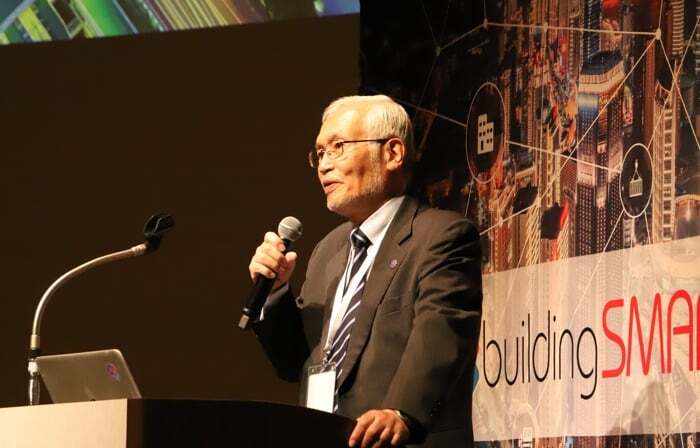 He demonstrated, with a local flavour, the types of projects Kajima has been working on and the innovative programs that help them achieve success. The afternoon session began with news that buildingSMART International and GS1 have signed an MoU to work together on standards. Richard Petrie and Enzo Blonk signed the agreement at the summit with mutual intentions to deliver collaborative work. Read more about the press release here. This afternoon sessions then moved into a proof of concept for the use of the buildingSMART Data Dictionary (bSDD) in real projects. The speakers were Knut Mathisen (GS1 Norway) Aleksander Bjaaland (Holte) Halvard Gavelstad (Norsk Byggtjeneste). For a look at the full agenda, click here. The Standards Program continues to develop and mature under the leadership of Richard Kelly, Operations Director, bSI. Some notable improvements were announced at the summit, including a strengthening of the software certification process. Recent elections in the Rooms have seen new faces added to steering committees. There has also been a strengthening of the technical leadership, with new leaders developing their roadmaps. A full two-day program was successfully delivered covering rooms focused on; Building, Infrastructure, Product, Regulatory, Construction, Airport and Railway. There was also a bSI general room for more generic discussions. On the final morning (Friday 19th October 2018) each room leader was asked to present their progress and vision for the future. A short summary can be seen below. The Infrastructure Room saw new faces join the steering committee as a result of a recent election. The leadership team consists of; Chair, Tiina Perttula; Technical leader, Christophe Castaing; Deputy Chair; Jim Plume; Projects coordinators: Tiina Perttula and Jim Plume; Administrator: Andrew Sheil. Based on the foundations of IFC4 and ISO 16739, the Infrastructure Room continues to develop new standards such as "IFC Road", and "IFC Bridge". These projects continue to gather traction, but the request is that more resources are required to continue the growth. The Building Room comprises a steering committee of Ricardo Bittini (Chair), Mark Baldwin, Benjamin Gonzalez Canto, Geraldine Rayner, Kjell Ivar Bakkmoen, Marie-Claire Coin, David Ivey, John Mitchell and Rob Roef. The room highlighted three areas of focus, those being the need for a strong steering committee. A strategic roadmap for future development and identification of projects that delivers against the program. A new proposed working group was proposed for IFC Landscape and the teams continue to see developments in IFC Rebar and IFC Precast. The Airport Room continues to look for participants to join this important initiative. There is a project plan to develop missing entities in IFC object libraries by the end of 2018. Work is continuing on a wayfinding solution and there is significant progress being made on the integration between GIS/BIM. The Construction Room is developing solutions to deliver common data environments for BIM deliverables. It is also focusing on the benefits of a digital twin and is working on missing attributes and geometry in the current set up. The Product Room is working with member companies to continue development of the buildingSMART Data Dictionary. The interoperable exchange of information between different object libraries will prove hugely useful. The steering committee wants to develop bSDD content and quality management standard based on ISO/PPBIM standard including developing collective product content roadmap. The Regulatory Room aims to deliver the e-Submission Common Guideline to deliver a common understanding of approvals and evaluation of BIM institutionalization. The room also aims to deliver a roadmap to automated regulatory processes in construction through BIM. The Railway Room continued to promote the ongoing collaboration between operators from Europe and China. This helps to build trust as they continue to develop the “IFC rail Standards” which is scheduled for completion in 2019. Procedures and compliance are high on the priority list for the room as well as an agreement that a clear roadmap is required. The Professional Certification is the global benchmark for openBIM training. The team announced the launch of a new collaboration to strengthen the existing scheme. This scheme will help ensure that consistent, high-quality BIM education is available globally. The scheme provides a framework that local training organisations can adopt, along with a suite of tools. Country Chapters will manage the scheme and certify the trainers. Mark Baldwin from buildingSMART Switzerland and Sarah Merz buildingSMART Germany, are leading this international program. With the launch of the Program, buildingSMART provides a global benchmark for openBIM competency assessment. This international initiative is being developed and adopted in Europe, Asia and the Americas. Whether you are a Chapter representative, development partner, training organisation or individual seeking certification, we invite you to be part of this exciting initiative. Strategy development is at the heart of our organisation and the Board of Directors and Strategic Advisory Council take advantage of the opportunity to hold a regular meeting during the event. This provides the opportunity for the strategic advisory council to deliver directives and input to the future of buildingSMART. It was also announced that China Railway BIM Alliance (CRBIM) will be joining as a new strategic member. A note from the Chairman, Patrick MacLeamy. 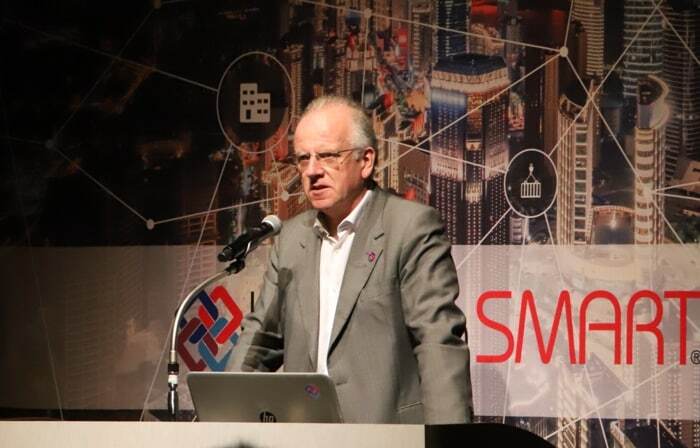 I have just returned from an amazing buildingSMART Summit in Tokyo Japan attended by 469 people from 45 countries, working together to create open digital standards for the built environment. 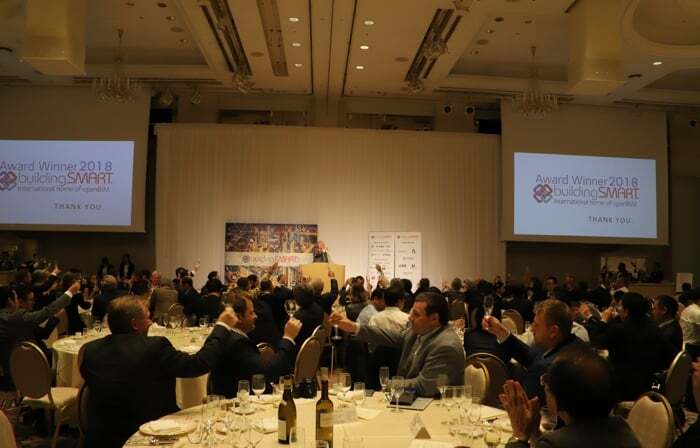 buildingSMART Japan arranged a wonderful venue next to Tokyo Bay and hosted a memorable dinner where participants made new friends and toasted our success. I was impressed by the enthusiasm, teamwork and sense of purpose shared by participants from around the world. I was inspired to see people from different countries working together to create new standards. Almost all participants in the summit are volunteers, sharing their time and talent to create open digital standards for buildings and infrastructure freely available for everyone to use. 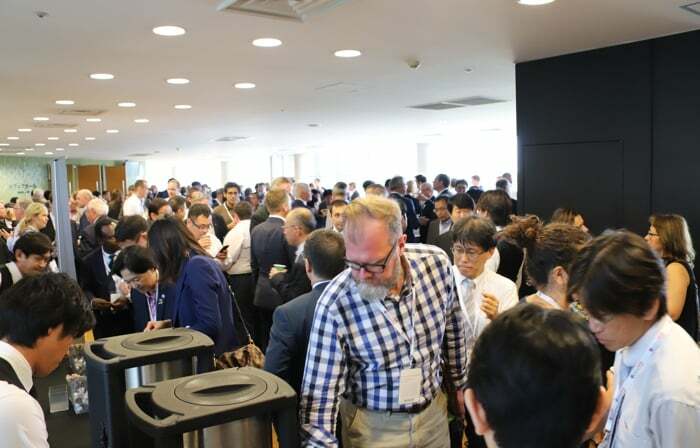 Many people I met remarked at how the Tokyo Summit was the best, most professionally organized in our history, giving them a renewed sense of purpose. The buildingSMART mission is to transform the global building and infrastructure industries. Our mission is audacious but can be achieved by teams of people working together across international boundaries as we experienced in Tokyo. Many people know buildingSMART for our IFC Standards. For us, IFC represents something more important — the International Friendship Club — friends working together to reach our shared dreams. 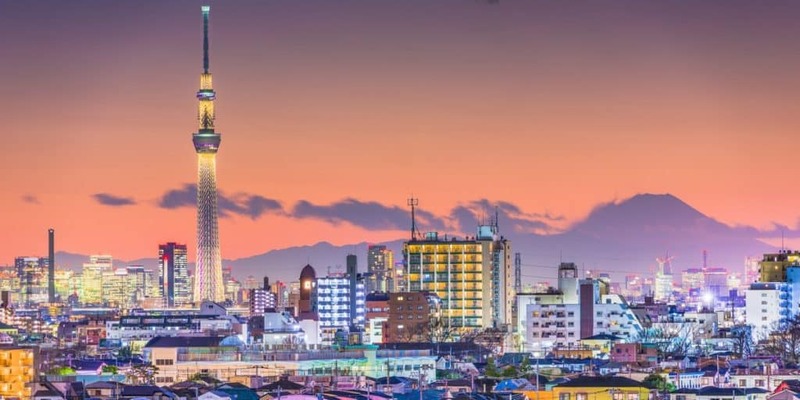 The next Summit is being held in Dusseldorf, March 25 - 29 2019. For details of this and future Summits please follow this link. If you would like to find out more about any of the activities of buildingSMART please email us at contact@buildingsmart.org or follow us on any of our digital media links below.